Now, I'll disclose. I know Melissa. She is pretty much a badass in everything she does. She's got this beautiful black shiny hair, one of the most radiant smiles I've ever seen, and she basically just looks like a rockstar. She has always been tremendously gracious and generous to me. She is wildly famous in the paleo community. And here is one of many reasons why: this girl can COOK. After engaging in this crazy organization of spices, I reviewed cookbooks all day. This was the neurotic ritual I performed before cooking from Mel's book. 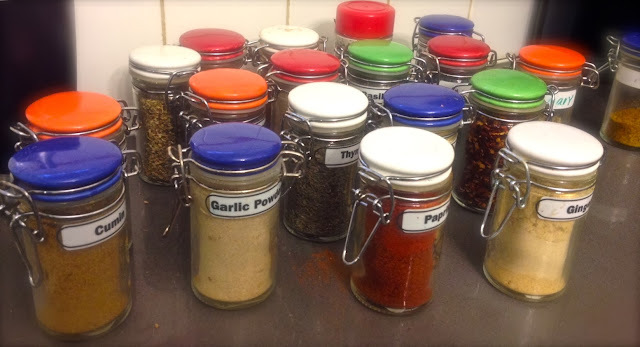 Uniform spice-jar maintenance is a crazy hobby. I have such a love-hate relationship with it. It was my pleasure to review her book so that YOU have yet another (of many) recommendations on a great present to get your friends and family for the holidays. Seriously, this book rocks. My favorite thing is that even though the recipes are outrageously unique, they are so simple to follow and make. 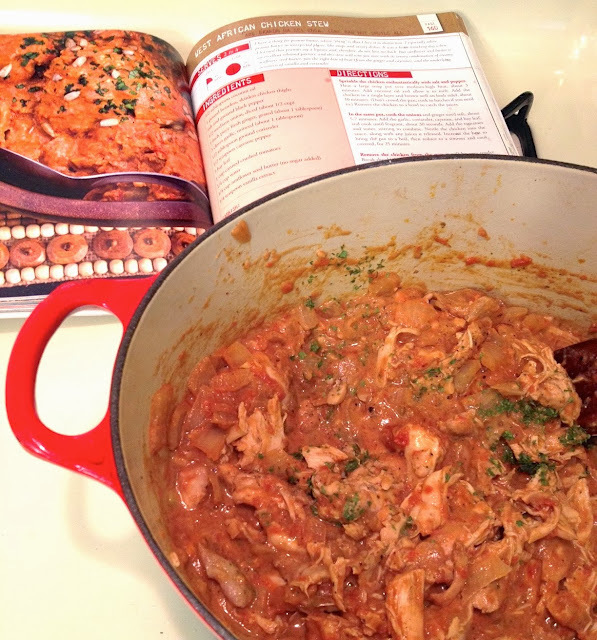 Without further adieu, here are the two recipes I reviewed and of which I can't wait to make more. First up, the East African Chicken Stew. I was shocked out of my mind how complex this dish was. I just randomly chose something that looked interesting. When it was done, I literally exclaimed out loud. Oh damn! As a cook, foodie and lover of new and adventurous flavor, this does not happen often. But with a combination of coriander and sunflower butter, I knew this would be interesting. It was AWESOME. Melissa, round of applause. It was a surprisingly warming dish, which is something my husband had been requesting all week. That was the first thought in my head when I tasted it! It was so comforting, albeit unfamiliar because it was so unique. In her book, Melissa includes sections called "You know how you could do that?!" in which she makes suggestions on what you should cook with each recipe. I had some collard greens I bought this weekend (since they were beautiful), and they were calling my name. 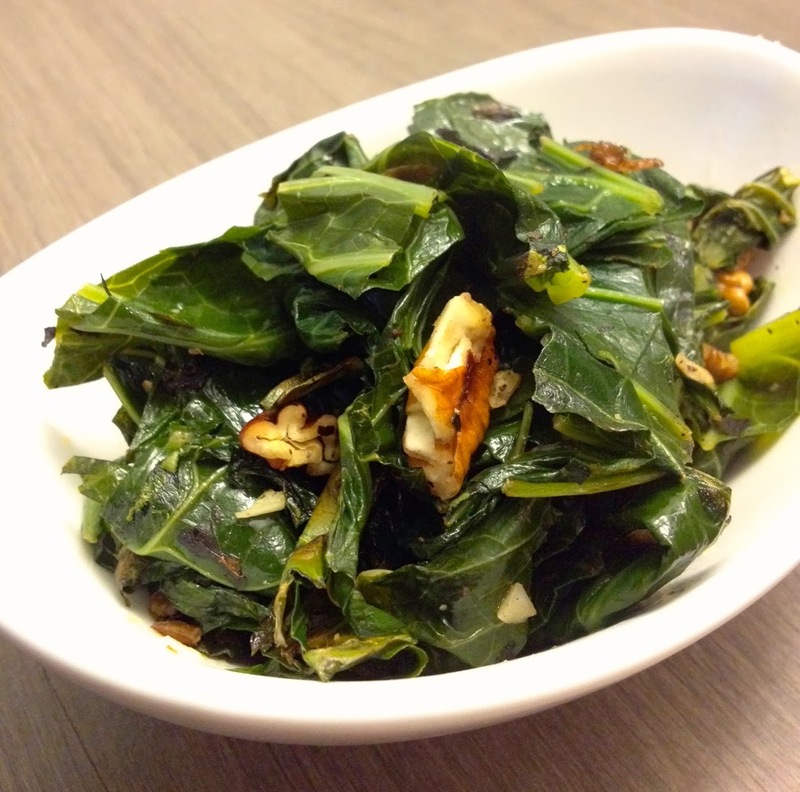 Fortunately, Well Fed 2 had a very simple but decadent recipe for the good greens. 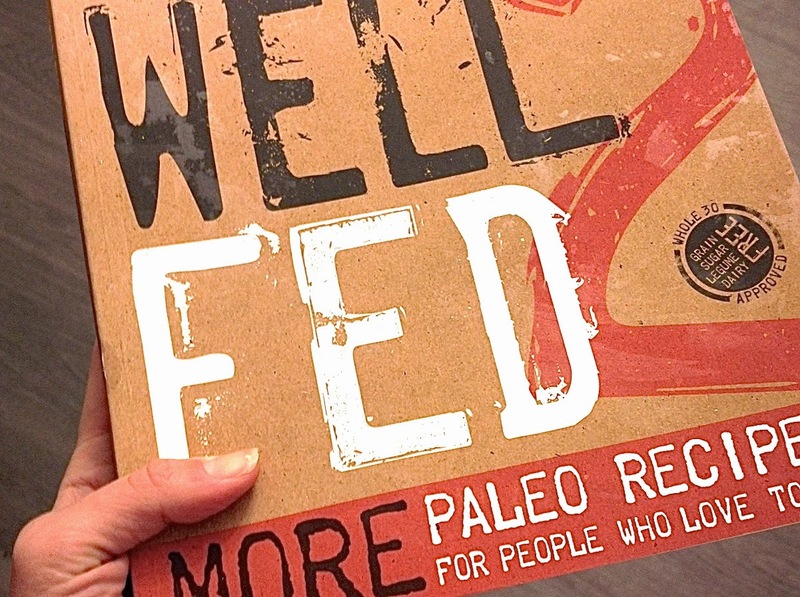 Well Fed 2's recipes are not only phenomenally delicious, they are Whole30 approved and creative. I highly recommend this cookbook as the one you buy this year. In the meantime, let's have a giveaway! I LOVE winter squash soups with coconut milk. The contest will end WEDNESDAY, DECEMBER 4 at 12:00 NOON. Leave your favorite holiday dish AND your email address in the comments before then! Thanks for the lovely review, Brittanie! 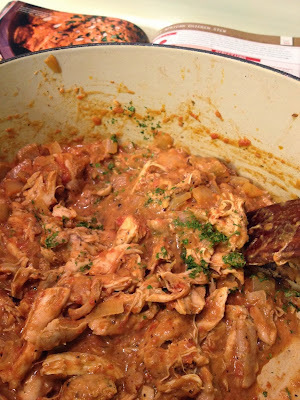 The West African Chicken Stew is one of our favorites -- we've been making it almost every week. Glad you liked it, too! Happy Thanksgiving! It's not a typical Thanksgiving staple, but for this Thanksgivukkah, definitely paleo Charoset!! Stir fry kale and bacon. Happy Thanksgiving. Elena's Squash with Brussels Sprouts and Chestnuts is my new favorite! I'm very new to the paleo lifestyle (only 6 weeks now), but my favorite paleo Thanksgiving dish this year was a no-grain dressing made from roasted cauliflower, parsnips, carrots, garlic, and baby bella mushrooms, pulsed a few times in a food processor. This was so good I didn't even miss my mom's traditional stuffing! I'm quickly getting used to this new lifestyle, and am having such fun seeking out new recipes. Looking forward to checking out both of your cookbooks now! I'm new to paleo, but the green bean casserole I made last week was amazingly well-received!! Secrets being...pureed parsnips instead of soup & caramelized onions instead of fried ones! !